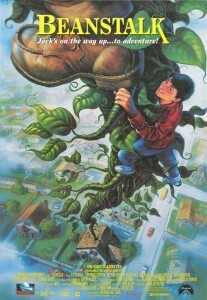 Brian Terrill's 100 Film Favorites - #93: "Beanstalk"
By all accounts, Beanstalk is not a great film. I can’t guarantee you’ll like it. I can’t even guarantee I like it. But I have had a long and complex relationship with this film, and so it warrants a spot. Granted, the spot it warrants probably should have been #100, if anything, but that already came and went, so here we are. When you watch the kind of movies I do, there’s a tendency for certain titles to “slip through the cracks.” Films (or TV shows) which lingered in my memory may not have even been seen by other people, much less remembered by them. This can make it hard to track down these films later, or even to prove they existed at all. 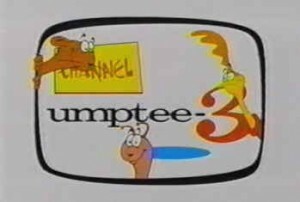 I’ll call this the “Umptee-3 Effect,” so named for the short-lived Kids’ WB animated series “Channel Umptee-3.” The show aired in 1997, and I caught a few episodes. It wasn’t by any means great or groundbreaking, but the bizarre premise and characters stuck with me. He was baffled, and assured me I must have dreamed it. I knew the show had existed, and so to prove it, googled “The world belongs in a box.” There were no results. For four solid years there were no results. Then I stumbled across a website called Retrojunk.com. A shrine to media from the 70s, 80s, and 90s. If I was ever to find the mystery show, this was the place to check. I typed “the world belongs in a box.” And lo and behold, that long-forgotten Frump mantra reunited me with the theme song of “Channel Umptee-3.” It was all there. The TV station. The Frumps. The big orange ostrich. Now, the show even has its own Wikipedia article. But remembering the years I’d spent persevering in the face of other’s total disbelief, I vowed not to fall victim to the Umptee-3 Effect again. Several of the films advertised piqued my interest, and I began checking them out. In particular, Dragonworld and Prehysteria became favorites of mine. So of course, I now had to see Beanstalk. It was fairly ubiquitous in video stores, and I distinctly remember renting it in stores on both the east and west coasts. Jump forward to my college days and I was surprised to find no mention of Beanstalk anywhere. It was “Umptee-3” all over again. Months later, I was finally able to find a truncated listing for “Beanstalk (1994)” on IMDb. I set about trying to locate a DVD copy of the film…and found it was impossible. Not just difficult. Literally impossible. After considerable research (and never let it be said that my college years never taught me anything) I learned the following: A company called Full Moon Entertainment produced films throughout the 90s, specifically for the home video market, primarily in the horror genre (one example is The Gingerdead Man). The business model proved successful, and Full Moon branched out into other genres, with their “Moonbeam Entertainment” branch making family films. 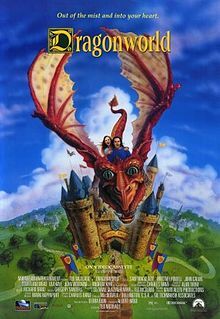 These films, which included “Beanstalk,” “Dragonworld,” and the three “Prehysteria” films were all distributed under the Paramount video label. These were films made specifically for the video store environment, which explains why they were never widely known: They never had a theatrical release, and were rarely even sold in retail stores. They were sold to rental stores and meant to be rented by patrons of said stores. Because of the narrow nature of this niche market, the films never received DVD releases and were able to lapse into obscurity. But thanks to the internet, nothing can stay forgotten for too long anymore. 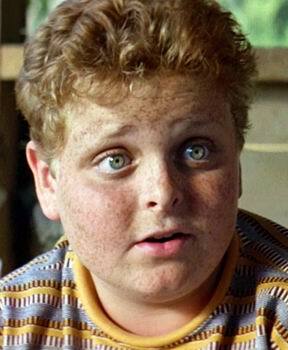 I remembered the film primarily for two reasons. First, the young Jack in the story is constantly carrying around a Walkman tape recorder, filling stacks of cassette tapes with “big ideas.” Whenever the muse strikes him, bam. He whips the tape recorder out and preserves his flashes of inspiration for posterity. To any creative types, I would highly recommend a similar system: Having a means to record your ideas when they strike can keep you from forgetting them, and lets you go back and review older ideas. The second (and biggest) reason I love “Beanstalk” is the cryptozoologist character played by Margot Kidder. A cryptozoologist is a…er, scientist…who studies “creatures which may or may not exist.” Someone who investigates cases of “cryptids” like sasquatch and the Loch Ness monster. 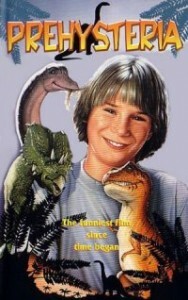 From the ages of 8 through 12, I was certain I wanted to grow up to be a cryptozoologist. Then I realized there aren’t many people willing to PAY cryptozoologists. But I still greatly admire the field and its efforts, and this isn’t the last you’ll see of cryptids on this list. 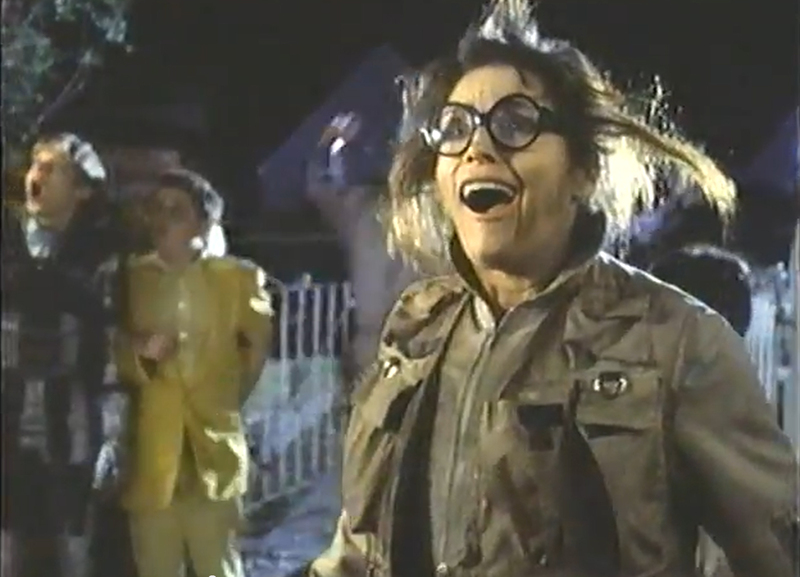 As for the character herself, Kidder (better known as Lois Lane in the Christopher Reeve “Superman” series) makes a fantastically kooky mad scientist, second in my book only to “Back to the Future” ‘s Doc Brown. She rants and raves about the existence of everything from vampires to trolls with religious fervor (in the mid-90s, Kidder was institutionalized for a nervous breakdown, and some say you can see it beginning here), and is by far the most likeable character in the film. But the film isn’t perfect: It hasn’t aged well, and is by and large a stupid, cheaply made “kid’s movie” with humor aimed at the lowest common denominator. There is a certain number of repetitions past which the “oh no I have slipped and injured my testicles” gag loses its potency, and this movie surpasses it in the first 15 minutes or so. In closing: Whether you watch “Beanstalk” or not is up to you. Regardless, the film has some “big ideas” and memorable characters, with one of the best representations of a dedicated cryptozoologist in film. And, oh yeah – it absolutely, most certainly, undeniably DID EXIST.